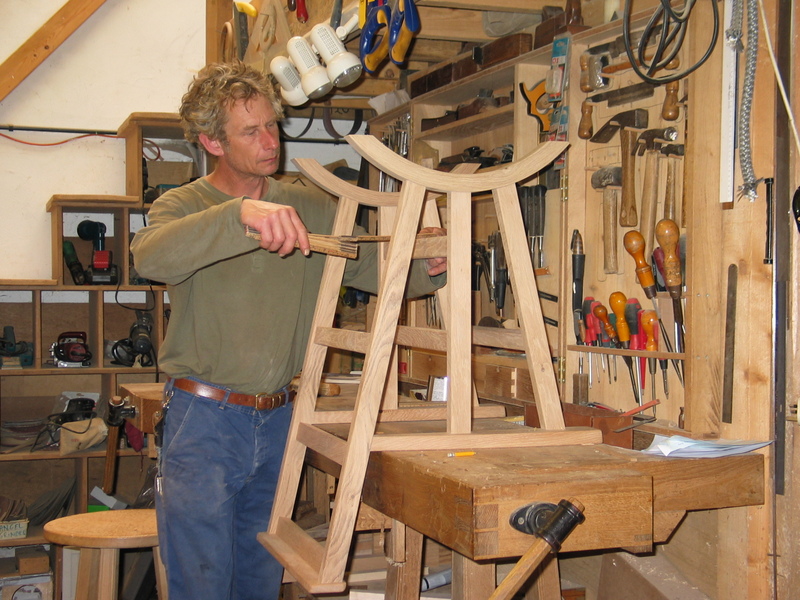 Award-winning designer craftsman, Petter Southall has been making his distinctive furniture at his studio outside Bridport since 1991. He makes his designs by hand using an innovative combination of boat-building and fine cabinet-making techniques. To see Petter’s furniture currently in stock, please click here. Or here to go straight to Petter’s website. i tre is Norwegian for in wood. 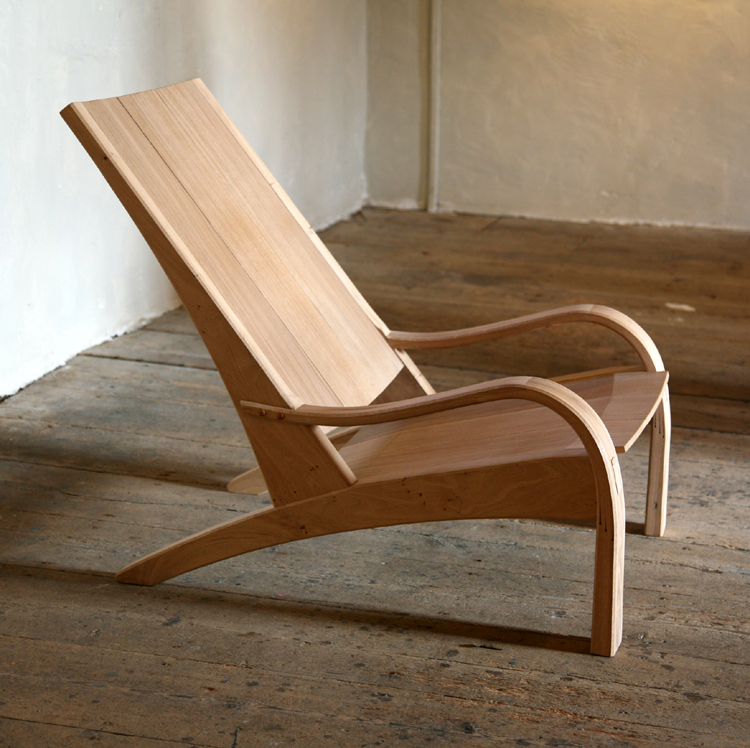 Petter’s designs have a distinctive Scandinavian confidence and simplicity. He finds unique beautiful pieces of oak, ash, elm and other Northern European hardwoods, often using wood sourced from the local area. 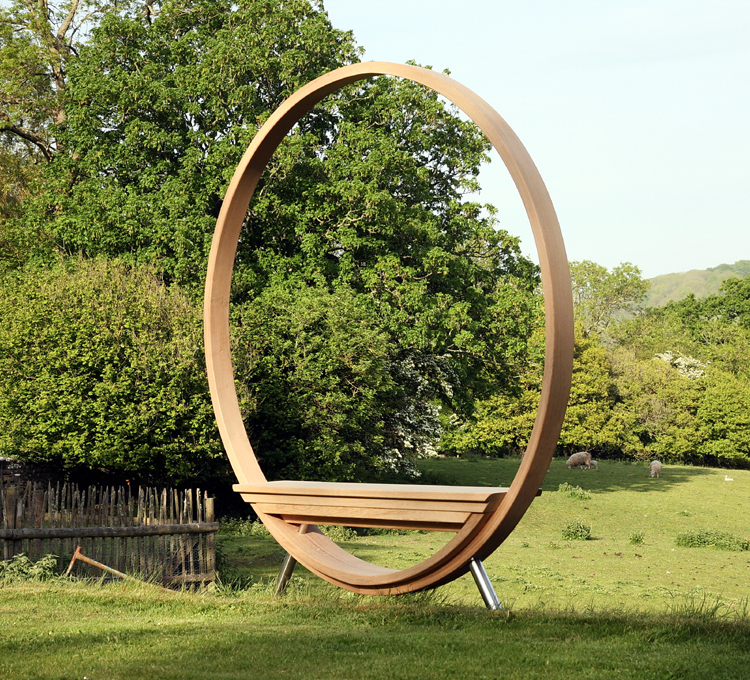 He specialises in steam bending thick solid boards into the arches, twists, curves and rings so striking in his designs. 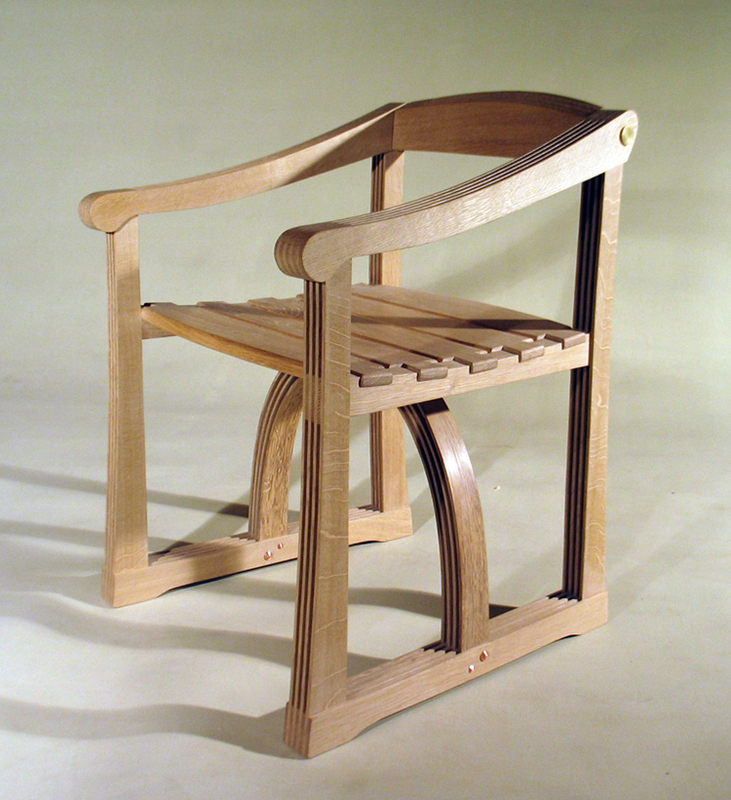 His work is built to last, using honest through-joinery and as little glue as possible. 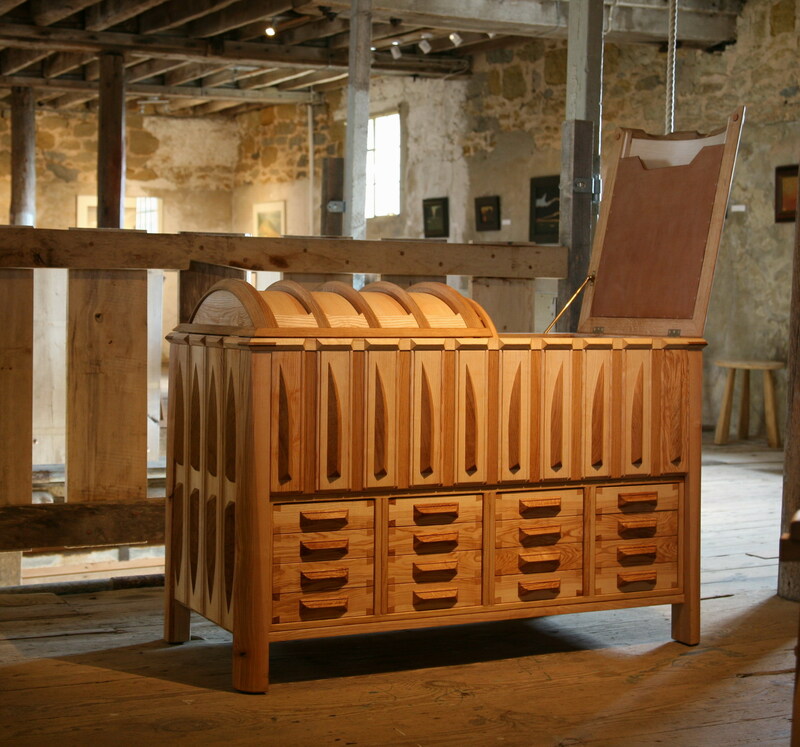 Finished with natural oils and tactile textures, his furniture is made to be used, bringing pleasure every day to the home, work place or public space. Commissions include the directors’ dining room at the National Gallery, the boardroom for Barbican Art Gallery, reception and boardroom furniture for many different companies mainly in London & recently for Bridport Town Hall. Public art seating for Cambridge Science Park, the final piece in the Wessex Ridgeway Sculpture Trail, Sanctuaries for Newton Abbott and Minehead Hospitals & the Macmillan Garden at Hereford Hospital as well as many private commissions. A peripatetic childhood lead Petter to study traditional wooden boatbuilding in his native Norway. At first he walked the fjords and islands of western Norway, working with the highly skilled old boatbuilders in their waterside boatsheds. He attended Jondal wooden boat building school and then was one of 8 young men taught to build the highly prized Oselvar Faering, an open sailing rowboat known as the Stradivarius of the sea. For ten years Petter built boats, running his own boatyard in Norway and later making yachts in Maine. 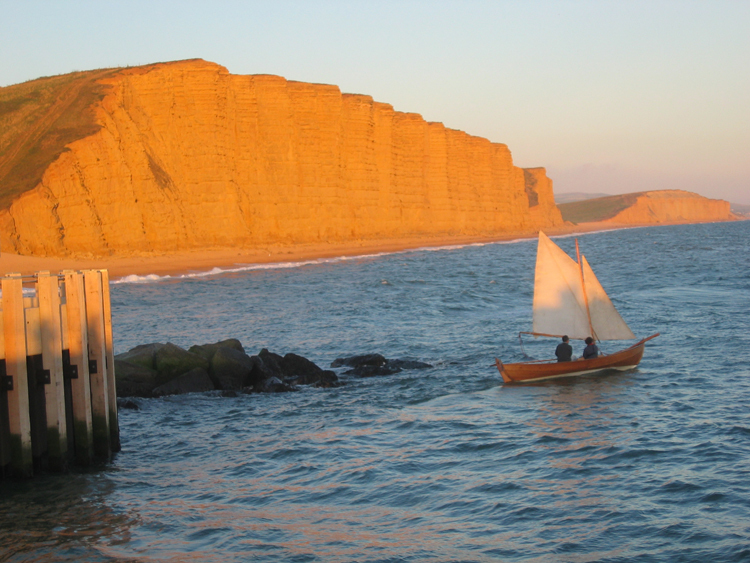 He still sails his first Oselvar from West Bay harbour. In 1984 he went to the College of the Redwoods in California to study cabinetmaking with James Krenov, the intuitive cabinetmaker. James Krenov’s influence was profound. He too loved the simple lines of boats and is quoted as saying, “There’s hardly a straight line on them, but there’s harmony. People think right angles produce harmony, but they don’t. They produce sleep.” Krenov had no time for over-elaborate, stained, or disproportionate furniture. He loved wood and saw the process of designing as composing in response to the individual character of the timber. His emphasis on the use of hand tools and light finishes have all contributed to Petter’s direct and honest language in wood. In 1989 Petter came to UK to study sustainable design at John Makepeace’s forward-looking Hooke Park College. Already an outstanding woodworker, Petter benefitted from a high level of publicity and funding and lecturers from all parts of business and design. He graduated with commissions including a dining room for the sculptor Dame Elisabeth Frink and set up his i tre workshop at Chilcombe in West Dorset where he has worked ever since usually with a team of craftsmen and apprentices. From 2001-4 Petter ran the i tre showroom on Pimlico Road, Belgravia, London which lead to many interesting and exciting commissions. 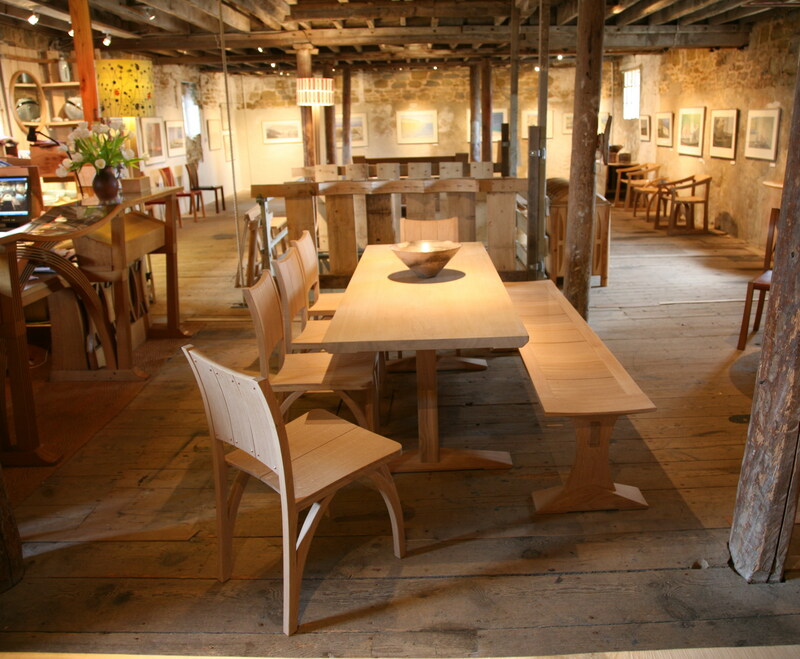 In 2006 he opened Sladers Yard in West Bay Dorset, now a highly respected art gallery, showroom and award-winning licensed café run by his wife, Anna Powell. Thank you. We’ll look forward to seeing you. I visited SIaders Yard yesterday and I really love your work although I probably cannot afford to buy as much as I would like, however, I would like to buy a mirror slightly smaller than the ones on display. Would that be possible? Yes. I have replied to you direct.